Is there a clever one-letter code to describe worlds? Starport class, from "none" to first-rate, primarily and specifically to note the world's willingness to trade. World Size, from asteroid up to super-Jovian. World Atmosphere, which includes pressure, human breathable-ity, and the presence of corrosives, plus some edge cases. World Hydrographics, a percentage. Doesn't necessarily mean water (that depends on the atmospheric code). World Population, as an exponent of ten. World Government, from "no government" up to severe police state. World Law Level, basically how annoying the authorities are to you. Tech Level, from neolithic to fantastic-future tech. But many times, similar world types keep showing up. Water worlds, or vacuum worlds, or worlds with an industrial taint. This is a feature, not a bug, and yet I wonder if just a little bit of simplification can remove a lot of data. Consider Star Trek's "Class M Planet". One letter is doing a lot of work: it describes general size and life, as well as a breathable atmosphere. A very compact notation indeed! So. Is there a list of 26 (or so) single-letter basic "planet types" that's useful for describing worlds? I'm looking for something that holds data useful to casual readers or gamers, so I guess I'm thinking about it in the "Star Trek" fashion, but maybe there's an angle I haven't thought of. To be more explicit, when we get together to play Traveller, we're interested in things like whether this world is a miserable asteroid, or something larger, up to super-earth sized perhaps (i.e. can I walk on this world? ); is there air, if the air is breathable (or, perhaps, how long it takes before suffering ill effects), whether there's accessible water, how much of the world is wilderness (or, perhaps, how many people live there), if there's a world government, if the locals are primitive or tech-savvy, and so on. E,F,G: Earth-sized but less habitable. Perhaps younger. T,S,I,J: Gas giants, largest to smallest I guess. L: Earth-sized with a marginally breathable atmosphere. N,X,Y,Z: Hell-worlds. Insidious or corrosive atmospheres, high temps. Q: Elliptical atmosphere or other strangeness. R: Rogue world (a wanderer; it does not orbit a star). I like certain elements of the list: habitability is there, as well as sensory tropes such as water worlds and desert worlds; there's room for oddballs such as the Rogue world; and planet size is treated well enough. This website (https://orionsarm.com/eg-article/491c78b89879b) lists planet types by name... and has a bunch; it could be whittled back. Let's say orbital location is separate, thereby subsuming molten and ice and rogue worlds. Add in a couple types to describe technic societies and we may have something... but it's hard to combine environment + technology into less than 5 bits! Lossy! ALTERNATELY, the code could focus on things other than sophont status. @Mathaddict noted: "The classification should really be differentiated into what equipment they will need in order to land/survive/etc." That's a good angle, with things such as breathing-protection, skin-protection, eye-protection, and mobility. Of course we can make this code up. The question is, how useful it would be. As @Renan pointed out, possible permutations of planet types number in thousands - and that's not even counting potential life and civilization on the planet. Coming up with single code for every type is impossible. 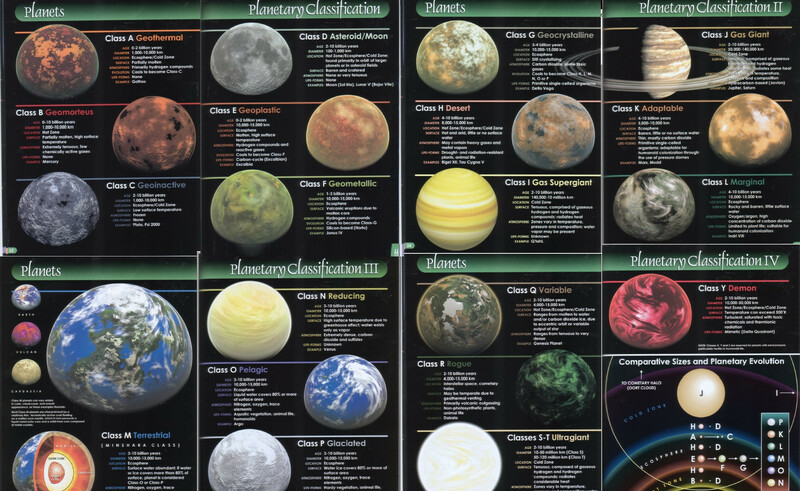 But if we want just a classification, then yes, we can come up with 26 types that would group together similar planets. The only challenge is to make these groups practical. I would suggest to use frequency of mention to guide this classification. This way, if two very similar world types (like "clean" and "tainted" Earth-like planets with civilization) are mentioned very frequently, they deserve their own letters. On the other hand, planetoids without atmosphere could be much more numerous and diverse, but because they mentioned less frequently, they may be all compressed into one letter designation. This one-letter code would not eliminate the need for proper, multi-symbol classification that should reflect all major aspects of planetary conditions. As far as I know, that kind of list is only found in Star Trek EU works, specifically the Star Charts, which shows a planetary classification from Class A to Class Y with some useful information. I'd personally as a reader want to be able to differentiate between planets easier than that, and an easier way to do that might be to use a taxonomic system for classification. Instead of having so much variation like animals, you can have a class A-B-C planet meaning different items, with further breakdowns in classification beneath that. Just like using the word "plant" versus "flower", we can use these indicators to provide ever increasing levels of specificity. It doesn't need to be anything completely complicated, but provide the full 5 bits, putting emphasis on certain pieces over others based on how important someone would use them in conversation. First letter determines size and type. Then further elaborate into atmosphere type and hostility of location. After that, you can get into habitability, resource availability, breathing possibility, and population with just numbers. Forming from this, you could classify any type of planet, and instantly know what sort of place you're visiting. For instance, Earth might be classified as a K class planet, but with further information on it bearing more fruit. With this, you have a complete knowledge of a planet, and can further fill in more information on a longer format, but can refer to Earth as a K class planet, then further specify with more taxonomic indicators. I don't think there is a good way to simply classify planets with the granularity you want without creating a barrier between you the creator and the audience you are presenting to. For your system to work, the user needs to know and remember it. This is hard. You can't just present it in a table (I'm assuming your users are both gamers and readers) in the appendix or index because a user needs to keep flipping back to it. This breaks the flow of your story or game (sort of like tutorial prompts) and creates a disconnect for casual or first time users who might not want to invest in learning everything and just dive straight in (this is one of the reasons why casual and mobile games are such a huge market compared to knowledge intensive RTS games). Which you could then sort into a code that you want e.g. (LP, LA, LS). But a casual user doesn't understand this, especially if you want to factor in all possible factors of a planet. The only thing you are doing with such a code is making it harder for a user to understand your game. If you really want to... Unicode has 137,374 mappings which means you could, if you really really wanted to, present 137,374 unique combinations to the reader with a single character (some of them look exactly the same, but they are different). But at that point you might as well be using Webdings. k-medoids clustering is a method of dividing a set of points into clusters of similar points. You can use this to divide your worlds into clusters, and then give each cluster a label. Give each world a weight (representing how likely it is to come up in conversation). Also define a "dissimilarity" function that measures how dissimilar two worlds are. This should make the set of worlds a metric space. Give each label a "metroid" world. This can either be done arbitrarily, or meaningfully (the meaning of the labels will be loosely based on these initial metroid worlds). The metroid world does not need to have a high weight; it could even have weight $0$. Assign each world the label whose metroid is most similar to it. Calculate the weighted average cost of the labelling, which is defined as the weighted average dissimilarity between a world and the world's label's metroid. For each label $l$ and each non-metroid world $w$, change $l$'s metroid to $w$. Then do steps 3 and 4 again. If the weighted average cost went up, undo the change. Keep doing step 5 until the weighted average cost stops decreasing. The current labelling is the output of this algorithm. You may want to rename the labels if you want them to have meaningful names, as the algorithm will probably have relabelled worlds multiple times until it found a local minima. Check the wiki for planet types. There are eight types by size, seventeen by orbital regime, seventeen by composition and three miscellaneous types. That does for 6936 possible combinations, so if you wish for one letter descriptors you may need to use chinese characters. Otherwise, you can use any fictional classifications such as Star Trek's, as long as you don't do it commercially I guess. Lifeless world with little athmosphere. The trick is to write these in a way which allows for modification - e.g. add a "heavy" before industrial world and you get a slightly different meaning. This list has to be shared with your group, so when they hear "industrial world" they know what to expect and what to ask to further define the planet. These seemed like an interesting challenge, and while some simplicity is possible, you cannot fold in the complexity and intelligence of life into it without making it overly complex. This gives you 27 combinations. I used a combination of English and Greek letters (with overlap) to format a grid. Greek letters and Y are for H3 worlds, J through Q are most optimal for human habitation or colonization. I skipped letters I O S Z because they look like numbers when written, and also U which looks like V.
Unfortunately this does not tell you about the complexity or intelligence of life. It would be easy to optionally categorize the most complex lifeform, and if there is intelligent life, its level of technological evolution. It does however do a pretty good job of telling you what to expect, or if you would need additional classification to determine if you should even enter orbit. Maybe use Chinese characters. It would keep a creatively thoughtful SciFi mystique it all, much like how Firefly uses Chinese in its world. There are thousands of them, but, there would only be a limited set that is used most frequently for the most important-to-classify planets, such as habitable, dangerous, or mineral rich worlds. It would also be clever. Not the answer you're looking for? Browse other questions tagged worldbuilding-process or ask your own question. What differences are there (if any) between building a world for rpg-gaming and building a world for story-writing? How do I keep my worlds simple? Is there any way to truly protect an idea? Is there a method of generating a simulated region of a world with bathymetry? Recommended resources to describe an environment you have never been to? Countries that have different genre settings but set in one world. Is that even possible? What good worldbuilding idea podcasts are there? Creating a new Galaxy entirely, or just make minor Changes to an already existing one?